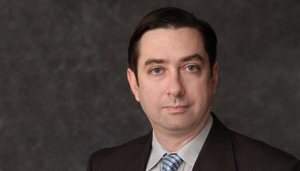 Steven J. Birkos is an associate at Rakoczy Molino Mazzochi Siwik LLP. He holds a Bachelor’s degree in Chemistry. Mr. Birkos is active in the firm’s patent counseling practice group. His work includes opinion preparation and strategy, as well as assisting clients in due diligence investigations. Mr. Birkos also has experience prosecuting patents in the United States, as well as in the European and Japanese Patent Offices. Mr. Birkos is also active in the firm’s patent litigation practice, with an emphasis on pre-suit investigation work and expert discovery. Prior to joining Rakoczy Molino Mazzochi Siwik LLP, Mr. Birkos had an extensive scientific career. While employed at the drug discovery companies Nanosyn and Amphora Discovery, he developed an industrial high-throughput screening operation, supervised a team of scientists that generated chemical genomic data for the identification of active compounds, and performed early-stage chemistry analyses on those compounds. Mr. Birkos also worked as a research specialist for the Department of Immunology at the Hospital of the University of Pennsylvania, where he conducted molecular-based histocompatibility testing on patient and potential donor samples.